January 17, 2016 By Elizabeth Lindemann 11 Comments / This post may contain affiliate links. Ever get one of those cravings for kid food? You know- chicken fingers and fries, mac and cheese, spaghetti sans sauce… or FISH STICKS? Guys. Fish sticks. The most underrated food ever. This homemade version of the kid-friendly frozen convenience food is SO much healthier than the kind you’d find in the freezer aisle. They’re coated with almond flour rather than breadcrumbs, cornmeal, or all-purpose flour, making them Whole30 and Paleo compliant. And even if you don’t follow these diets, I have to say: almond flour coats the fish better AND makes your meal much more filling! I may not ever go back to the alternative coating (and fully intend on making Paleo buffalo chicken fingers in the same way this week). PLUS they require only THREE INGREDIENTS. THREE!!! Oh. Did I mention these taste EXACTLY like fried catfish?! But they are baked, NOT fried. Oh boy oh boy oh boy. These are definitely going to become a new favorite make-at-least-once-a-week meals in my house. I have TONS of energy. Even after a long day of teaching. As exhibited by the extraneous use of SO MANY ALL CAPS in this post. I’m sleeping SO well. I fall right asleep at night, sleep straight through, and when my alarm goes off I don’t have to snooze. In fact, I TRY to snooze, but my body won’t let me. During the first few days this was not the case- I think it’s because of the higher amount of protein I was eating. But now that my body is used to it, sleep is excellent. I’ve lost a few pounds! I had to make an emergency trip to Old Navy for new jeans, since none of mine fit me anymore. Hip hip, hooray! I’m never very hungry, and I’m never very full. This may sound a little weird, but previously, I would be so, so, SO hungry when I got home from work. Or midday and needed a snack. I’m still hungry at meal times, but never so much that I want to murder everyone around me. And when I get full, it’s a different kind of full- very satisfied, but absolutely no bloating or loosening of the belt buckles. I just don’t want to eat more food than I need! My wallet is happy. Sure, I’m spending a little more on groceries than I normally would, but I’m also not going out to eat and not drinking alcohol. Those things can add up! I’M happy! I’ve very rarely cranky, I’m extremely optimistic, and I’m not getting frustrated easily. And I’m a high school teacher. That’s saying a lot! I think the people around me are benefiting from this just as much as I am. My mood hasn’t been this consistently good in a while. I’ll certainly do a more detailed post on how the entire Whole30 goes a little later, but so far, I’m LOVING it. Except for one thing: All. The. Meat. I wasn’t a huge meat eater before this, but without access to legumes to bolster vegetarian meals, I’ve relied a lot on meat as a major source of protein. 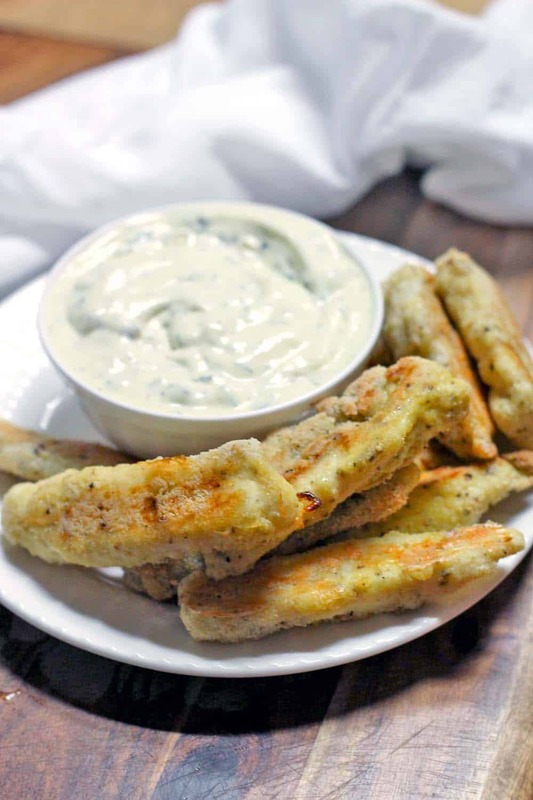 Which is one of the reasons why I developed this fish stick recipe! And my favorite thing about this is that these fish sticks can be made way in advance, frozen, and cooked DIRECTLY FROM THE FREEZER when you are in a pinch for a meal. Yup- no thawing necessary, just like the kind you buy at the store! and place the whole tray in your freezer for at least an hour. Then, you can transfer the fish sticks to a plastic bag or container. and bake for 20 minutes, or until fish is cooked (you can double check by using a fork to flake it apart- if it flakes easily, it’s cooked). The tartar sauce is nothing but a mixture of mayo, chopped dill pickles, fresh dill, salt, and pepper. And a little pickle juice thrown in for good measure! I made my own mayonnaise– which, turns out, is the EASIEST THING EVER! Usually, sweet pickle relish is used for tartar sauce, but because the Whole30 does not allow added sugar, I used dill pickles instead. It was tangy and delicious and perfect for dipping not only these fish sticks, but the sweet potato fries I made to go alongside them. 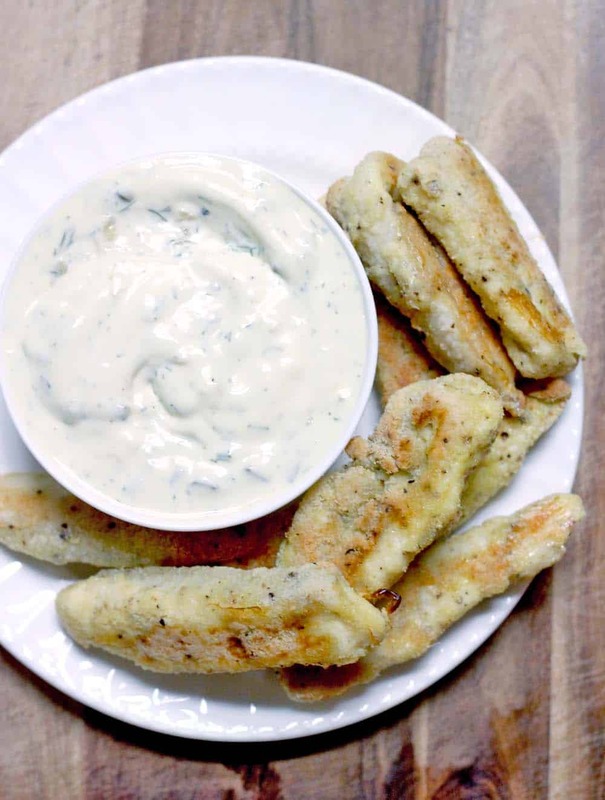 These homemade frozen fish sticks are healthier than store bought, EASY to make, Whole30 and Paleo approved, and can be made ahead, frozen, and cooked directly from the freezer! Place eggs in bowl; scramble and add salt and pepper and mix. Place almond flour in bowl, add salt and pepper and mix. Salt and pepper the outside of the fish. Dip each piece of fish in the egg, then roll to coat in the almond flour. If baking right away, place in oven at 400 degrees for 12-13 minutes, or until fish is cooked, flipping over halfway through. 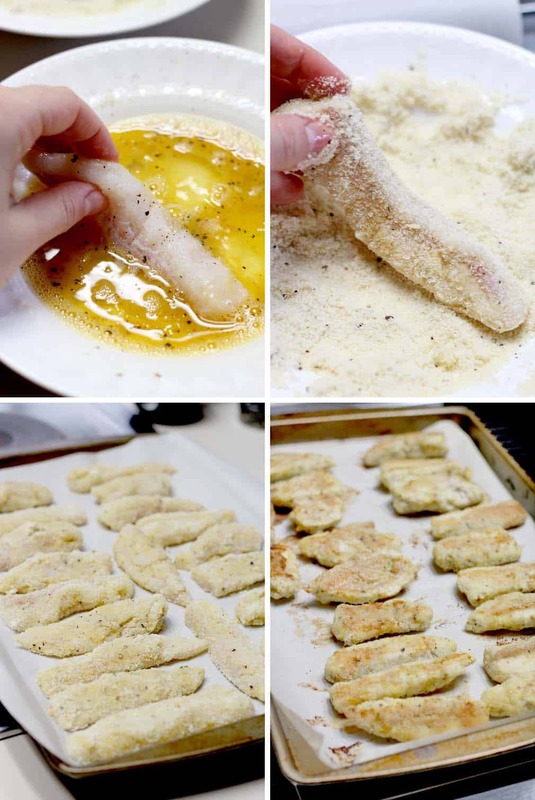 If freezing, place baking sheet in freezer for at least one hour to flash freeze the fish sticks. Transfer to plastic bag or airtight container. Freeze for up to six months. When ready to bake, place on a lined baking sheet and bake at 400 degrees for 20 minutes, or until fish is cooked, flipping over halfway through. Meanwhile, to make tartar sauce, mix all ingredients in a bowl. This can be made ahead up to a week in advance. Do you think I could use frozen fish? I have thin, frozen white fish that I could cut and then dip into the mixtures. I don’t see why not! It actually might be better to do this since thawing and refreezing can affect the texture of the fish. I say go for it! Yields 4 sticks or 4 servings? How many sticks per serving? Sorry for the delayed response! This recipe makes 4 servings, about 4 sticks per serving, depending on how you cut the fish. Hope that helps! Wonderful recipes! So excited to try this. One question though, I’ve never had catfish (had almost every other type). What’s it like texture-wise? Hope you and your family like them!! These are great!! Next time I am going to make fish fillets. I really love fish sticks but I only eat them once every few years because I’m not sure what’s really in them, plus I can only eat them when my husband is out of town (he has a fish allergy). 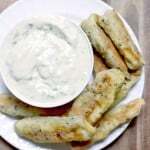 These fish sticks look really good and would make a great substitute to the frozen grocery store fish sticks. 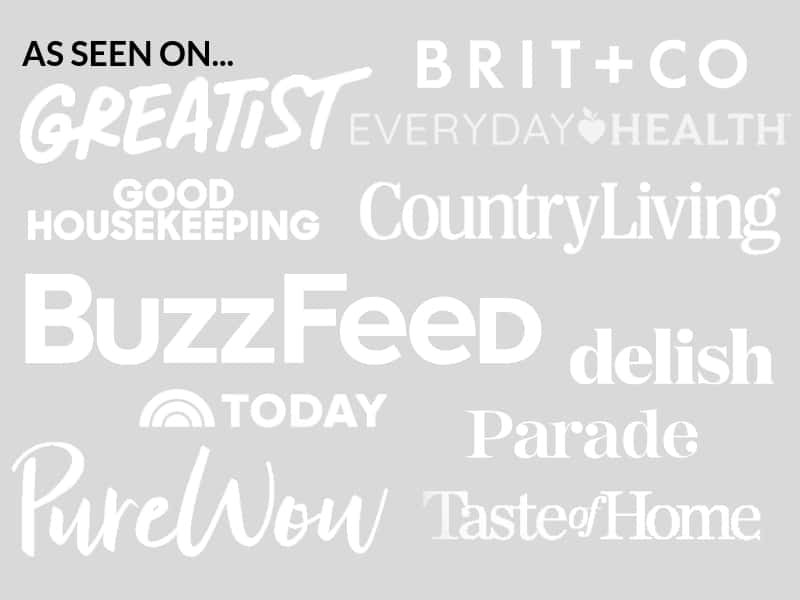 I’m pinning for when my husband goes away on business! I love them too, and am happy I figured out a way to make them from scratch. Hope you like them!